With over 13 years experience at the highest professional standards, Simon constantly raises the bar with record prices and precedence set. A Multiple Award winning agent, Simon has sold at all ends of the real estate market and believes that if opportunity doesn´t knock then build a door. Ash is committed to the best possible result, every single time. He is regularly told by clients that he’s ‘gone the extra mile’ more than anybody they’ve dealt with, and he has the ability to add unique touches to each marketing campaign. Add this to the strong knowledge of the market, a cool head in the heat of a sale, unwavering honesty to all parties and a willingness to keep vendors fully informed of every stage of the marketing campaign - and you can see why. 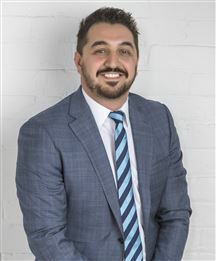 A committed professional and highly effective Sales Consultant, Ben Chamberlain has built a reputation as being the ‘go to guy’ for premium results for properties sold in West Lakes. His calm and easy-going manner provides clients with a positive sales experience, turning what can often be a stressful time into an enjoyable one. Ben is straight talking, honest, and prides himself on delivering an exceptional level of service to his clients. He is hard-working and always acts in the best interests of the client with a track record of superseding expectations. 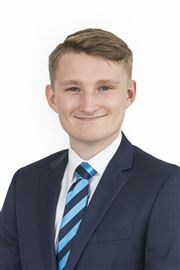 A highly skilled negotiator, Ben gets satisfaction from outstanding results whilst providing a high standard of customer care. He will often go beyond what is expected in order to make things happen. 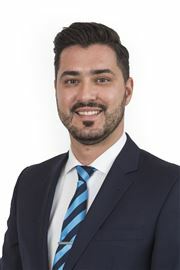 Ben is proud to work alongside Paul Aoukar as a Harcourts Plus team; he lives West Lakes with his family and enjoys the great lifestyle it has to offer. What can you expect when working with Ben? Honesty, hard work, straight talking, great communication, integrity, laser focus and above all his promise to ‘wring out’ the market for the best possible result. With the support of the great team at Harcourts Plus and the global reach of Harcourts International exposure, put your property goals and biggest asset in my hands. My tailor made marketing and selling strategies mean I can secure the absolute best price for your property. Eric is a genuine person who is always willing to help those around him. He has the ability of making each and every client his sole focus and is unwavering in his commitment to achieving the best possible outcome. 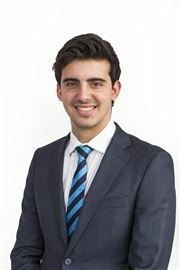 Teamed with his impeccable attention to detail, Eric Franco is a valued member of the Harcourts Plus Team. With over 30 years sales experience within his own business and constant passion for real estate, Frank ensures that you achieve the highest price for your property. Frank’s commitment to the satisfaction of his clients is second to none. Having lived in the western suburbs all his life, Frank’s knowledge of the area, it’s key attractions and market trends allows you the best opportunity at selling your home at the best possible price. George's positive attributes, forward approach and determination have made him one of the industry's top performers. With over 12 years experience in business his continued growth in the real estate industry has brought George multiple accomplishments. To name a few, including "No. 1 Top Individual Market Share", induction to the "Hall of Fame" Top Auction Sales, and other prestigious awards during his career. George is a highly self-motivated guy that enjoys a challenge. He is committed in channeling his expertise and enthusiasm and making sure your experience is a positive one. With a real estate career spanning over twelve years, Nino continuously aims to provide second to none service as he truly believes there is no better recommendation then that of a satisfied client. Having the passion, hunger and a professional approach for the industry, along with a wealth of knowledge and experience, Nino has achieved award winning results, record prices and most of all created happy clients for life. Paul is a dedicated, methodical person who uses his extensive background in hospitality to his advantage when working in Real Estate. This history has allowed Paul to truly understand the client’s needs and recognise how best to facilitate key areas such as communication, reports and information direct from the ‘coal face’. Undeniably a team player from the outset, Paul is an absolute asset to the team here at Harcourts Plus being an instrumental part of many property sales that have led to smooth transactions. Covering lots of ground in Real Estate over the last 2 years, Paul has taken a ground up approach to his career with a hunger to learn every facet of the industry. Along the way he’s kicked goals, won awards but has always remained hungry and humble. When working with Paul you can bank on prompt, methodical service that balances progressive and creative thinking ensuring clients of an outstanding result. Tony has come from a building industry background and opted for a change to real estate in 1998. 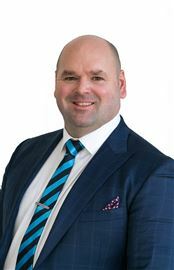 He is one of the leading agents in the Western Suburbs and one of Harcourts high achievers receiving continued awards and acknowledgements at most quarterly and annual awards evenings. The Western Suburbs are all too familiar to Tony as he was raised and went to school in this area. He understands what it is like to be part of this changing and evolving community. 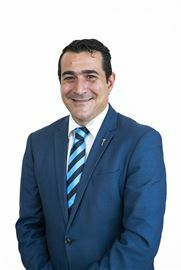 He has built a strong rapport with the local residents and possesses the knowledge and passion to communicate the highlights and benefits of living in some of the most sought after locations in Adelaide from his first hand experiences in the industry. It is his passion and knowledge of the local area and Tony’s outstanding negotiating skills along with his ability to stay up to date with the latest trends that helps his vendors achieve great results. Determination and enthusiasm encompass, Tony’s mature approach to real estate along with his attention to the finer details ensuring his clients receive outstanding outcomes each and every time. There is no doubt that our vendors are winners when their homes are show cased under the Harcourts banner, further enhancing vendors exposure to a wide range of mediums through the Harcourts networks and the name that is respected both nationally and internationally throughout the industry.